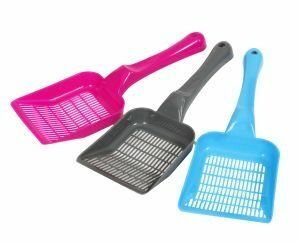 Animal Instincts Cat Litter Scoop is a cat litter scoop that is great for most types of litter. 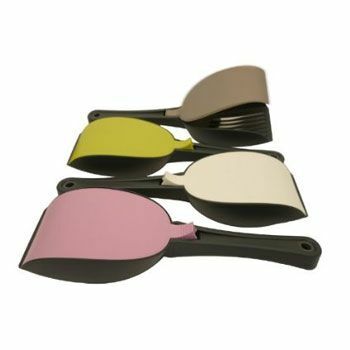 The scoop comes in three different colours including pink, grey and blue. The Animal Instincts Cat Litter Tray is a perfect cat litter tray that is very cheap and a great size that can hold a lot of litter and is very easy to clean! 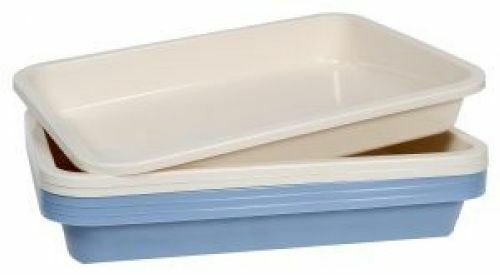 In two main colours the tray will fit many houses and setups. The tray also comes in three main sizes. The Animal Instincts Cat Litter Tray is practical and easy to clean and use. 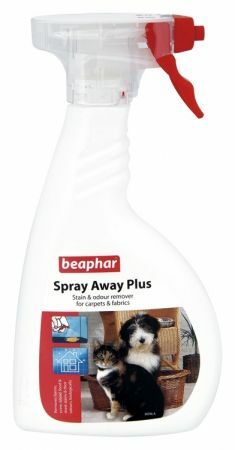 Beaphar Spray Away Plus is based on the latest friendly-microbe technology, and is an astonishingly effective carpet cleaner. Birba Large Litter Tray With Rim is a litter tray with a rim around to prevent spilling and to prevent mess outside of the tray. The rim is easily detachable and easy to clean and the tray is large sized. The tray also comes in many different colours. Banish litter tray odours forever! This revolutionary new product traps urine and destroys the smells that arise from used cat litter. One application will double the life of your cat litter. Cat Litter Deodoriser is completely biodegradable, pH neutral, and totally safe. The unique Urine Encapsulation Technology quickly renders the litter odour free, and the blend of friendly bacteria, which subsequently eat the urine, keep it that way. A litter scoop. Not the most glamorous part of being a pet owner but, it’s a necessary evil. MP Bergamo Shaker Cat Litter Scoop is a cat litter scoop with a lid that is also known as Paletta Spoon. 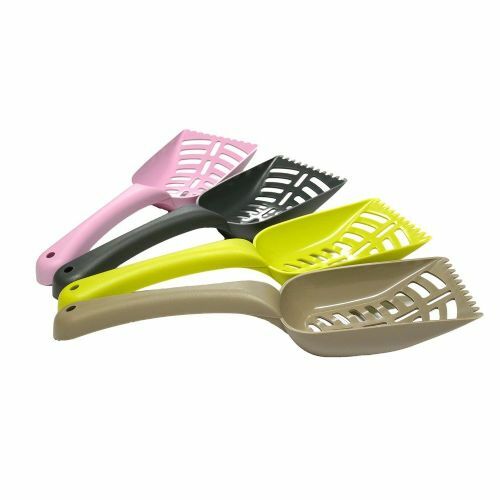 The scoop comes in 4 different colours of Pink, green, white and grey/teal. The scoop is big and has an easy to use lid.